A couple of weeks ago, I mentioned on Instagram that I was building a capsule wardrobe. That one post generated many curious questions from fellow Instagramers. Today I plan to answer your questions. We’re going to step away from smoothies and homemade fabric softener for the day and talk about clothes. Before we talk about this capsule wardrobe concept, I would like to point out that I’m not a fashion blogger. In fact, I don’t consider myself much of a fashionista at all. Talking about my wardrobe in public (hey, internet!) is a bit of a sensitive topic for me since I’ve always loved shopping but haven’t ever considered myself an example of style or fashion. I care about the way I look, but I’m not one to obsess over the latest styles or trends. So why am I writing a post about clothes? My goal for Live Simply is to help you (and me, because I’m right here with you on this journey) simplify real food and natural living. While most of the time we talk about crock-pot burrito bowls, granola bars, and homemade hand soap, I believe it would be a disservice to dismiss the daily tasks that can make preparing real food or mixing together a bottle of hand soap a huge challenge. The tasks that can consume so much valuable time, like doing laundry or picking out clothes. If you’re spending most of your morning trying to figure out what to wear or your weekend shopping for clothes, it’s hard to think about spending extra time making healthy food. A capsule wardrobe is my new solution to help simplify what I wear, the time I think about clothing, and the amount of time I spend shopping. Most capsule wardrobe bloggers recommend choosing a set number of clothes you’d like to include in a wardrobe. The items should be chosen according to season, and only worn for that particular season, before transitioning to a new capsule. 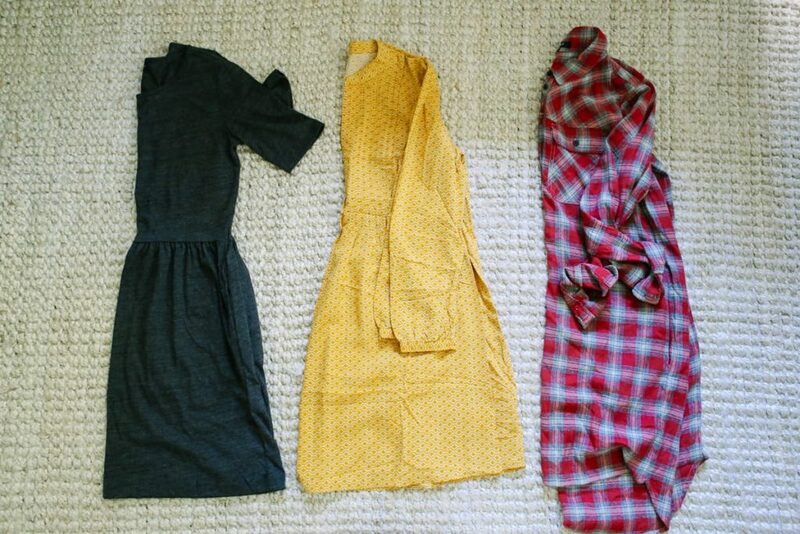 The clothing items chosen should include tops, bottoms, dresses, outerwear, and shoes. This number doesn’t include a fancy dress for weddings or that extra special holiday party, or the lounge clothes you love to wear while enjoying your favorite Netflix show. Now I get it, a very limited number of clothes and shoes sounds very restrictive! I totally felt that way, but then my mindset changed. Over the summer, I read a very popular book, The Life Changing Magic of Tidying Up. I’ve prided myself for years on being an organized and simple person, until I read that book and realized we owned way too much stuff. Marie’s advice for decluttering is to ask yourself, “Does this _____ spark joy?” If an item doesn’t spark joy, it should go! After using this joy concept to declutter our home, I donated over 45 garbage bags of stuff. Seriously, 45! One of the first areas of our house to experience the KonMari Method was my closet. After spending a Saturday afternoon removing every single item and asking myself, “Does this spark joy?”, I realized how much I owned and never wore. That day I went from a packed closet and feeling overwhelmed by clothes, to a closet filled with empty hangers and just a few items. The realization that I didn’t need hundreds of different pieces of clothing, and that I was wasting so much time thinking about what to wear each day, led me to the capsule wardrobe concept. Instead of focusing on buying as many clothes or shoes as possible, my new focus is on purchasing what I need, when I need it, and only quality items that will endure the test of time. The concept of a capsule wardrobe is to only include quality items that will work together in multiple ways, creating multiple different looks with just a few basic essentials. 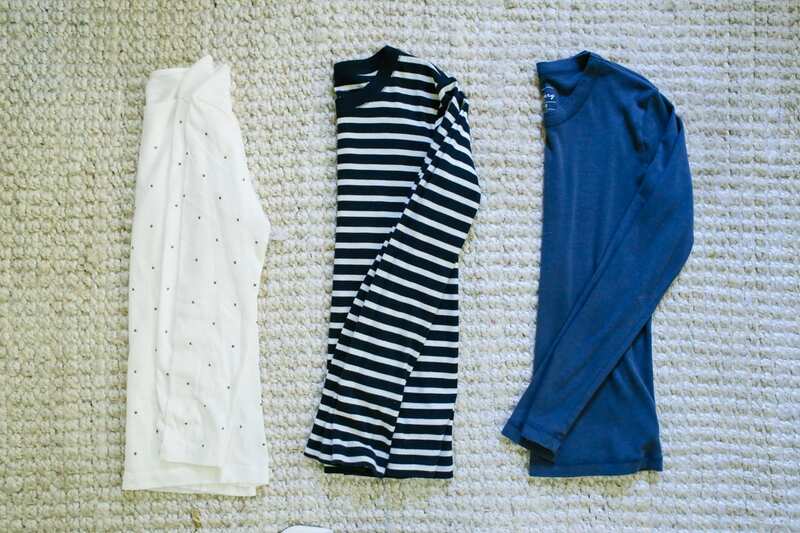 After going through my closet the first time using the KonMari Method, I went back and determined what would work for the fall/winter season in multiple ways. Since I work from home, I need clothes that fit my relaxed job and also function well to drive Piper to school or spend an afternoon at the park with the kids. Any clothes that didn’t fit the season or work together, but I still loved, went into a Rubbermaid bin. Anything I was missing from my fall/winter capsule that I felt was important (like a white shirt or black jeans), I purchased. Yes, this meant I spent money initially, but these items were purposefully purchased so they will continue into future capsule wardrobe selections. I decided to combine fall and winter into one long season (October-February). 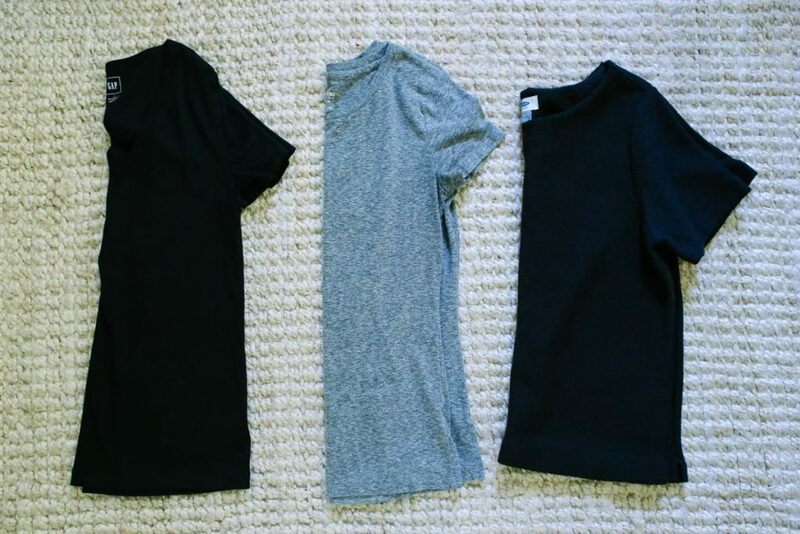 In February, around the time when our weather starts getting really hot again, I’ll create my next capsule wardrobe based on the clothes I stored away in the Rubbermaid container. We don’t have seasons in Florida, just hot and hotter, so creating a wardrobe around four different seasons doesn’t work for me. I decided to include more pieces in my capsule than suggested (around 37 according to most experts) and stretch these items out over our fall/winter season. This is a huge time-saver! Now that I have my fall/winter essentials, I’m not allowed to shop again until the next season: spring (February). At that time, I’ll put my fall/winter clothes away for storage, assess what I own from the Rubbermaid container, and purposefully purchase any items needed. 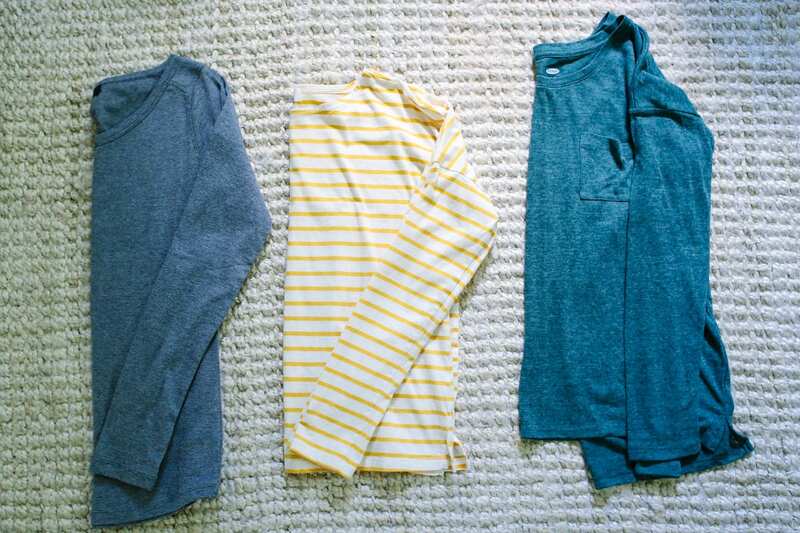 Most of the capsule wardrobe blogs I read recommend sticking with colors that work together. I think this is very important to make a capsule wardrobe work. For me, this meant making sure the clothes I chose work together according to style and color. Also, accessories (scarves and jewelry) aren’t included in my set number, so I’m able to “spice” things up in the color department with these extras. With my rules in mind, here’s what I chose for my fall/winter capsule. 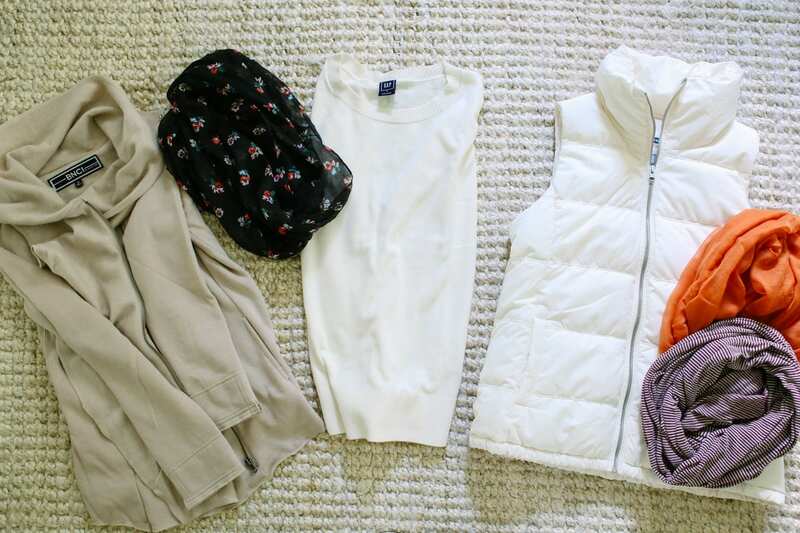 These items are actually from my closet laid out on my living room carpet…#reallife! I wanted to provide you with actual photos versus stock images from random websites. This is a high number for a capsule wardrobe. Since I’m extending my wardrobe over two “seasons” (hey, Florida! ), I’m sticking with the higher number. Next fall I may reduce this number. 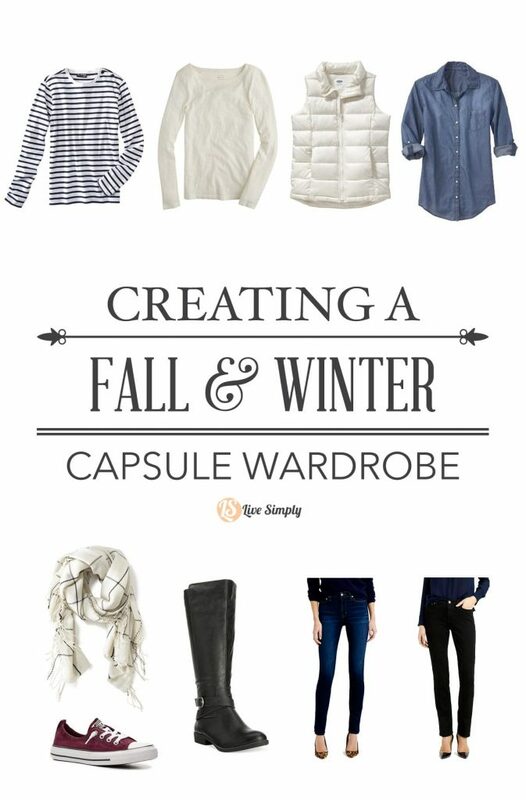 If you’re creating a capsule for just one season, which is recommended, you won’t need 19 tops. Here’s an example of how I’m using the same pieces to work together and create different looks. Remember, I’m not a fashionista; I’m a mom and blogger looking to simplify. Total Number of Clothes: 43! I have a feeling this number will be tweaked in the future as I fine-tune my capsule to work for my lifestyle. Remember, this is my test-run season. 1. Go through your closet. Take everything out! Ask yourself, “Does this spark joy? Do I actually wear this? Do I love this now?” You want to edit your clothes down to what you actually love. Donate anything and everything that doesn’t work for you. Maybe you’re going for 30, 37, or 45 items. That number will include your pants/shorts, shirts, outerwear (cardigans, sweaters, etc. ), dresses, skirts, and shoes. This number doesn’t include Netflix or painting clothes, exercise clothes, or pajamas. 3. 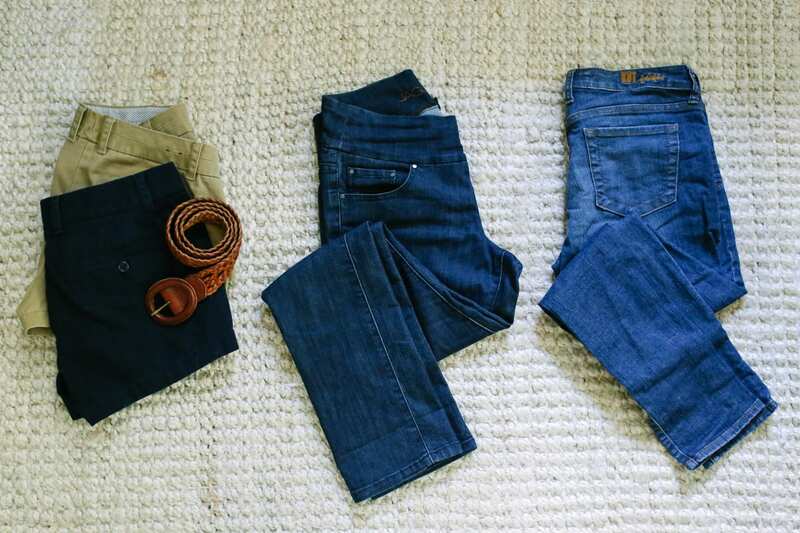 Now that you’ve determined what you love, choose the items to keep in your closet for the appropriate season at hand. Right now most of us are planning for fall or winter, so choose items that will work for this season based on where you live. For me, Florida is still pretty warm (like 90 degrees! 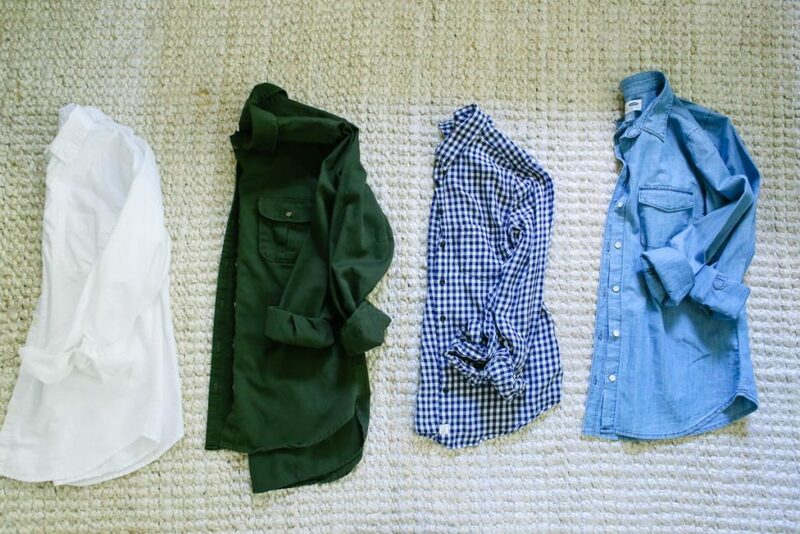 ), soon it will be cold so I need both shorts and jeans that will work with my tops. Items that you love but don’t work for the current season need to be stored until later. 4. Determine what you’re missing from your capsule. Need a cardigan? Jean jacket? A pair of black jeans? Great, now it’s time to purposefully shop for these items. Remember, these items should withstand the test of time (nothing super trendy that will go out of season next year) and work with your other pieces. While you’re shopping think about quality: Will this fabric wash well? Will it fade? Does it itch? In the end, you’ll be saving money! Note: Don’t go in debt over a capsule wardrobe! If there are essential pieces you feel like you’re missing, but they aren’t in the budget right now, add them to a capsule wish list and purposely save for next fall (or another season). You don’t need everything at once, this is an evolving lifestyle choice. Embrace what you have and go from there. It’s better to go without than go in debt or buy something you really don’t need/like. 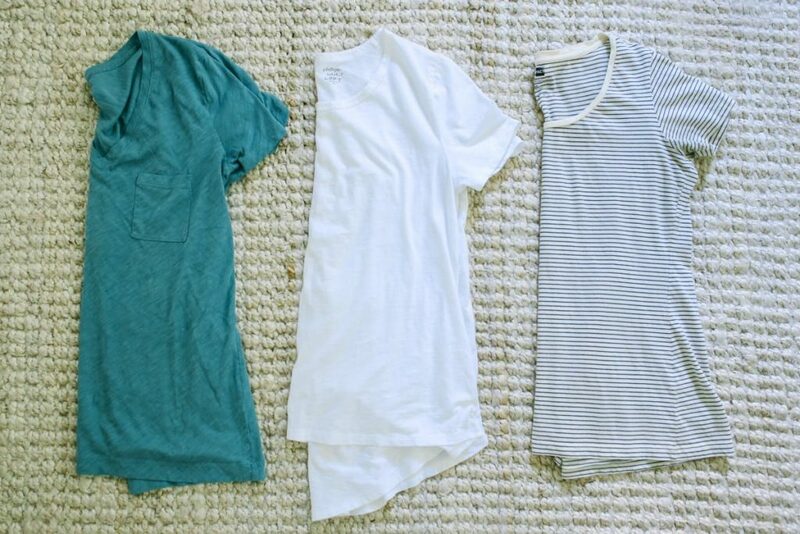 Now it’s time to embrace this simpler lifestyle and enjoy your closet. Un-Fancy: Caroline’s site is a must-read for anyone looking to create a capsule wardrobe. She offers tips, real-life examples, and so much more! She even offers a free wardrobe planner to help you get started. This podcast interview is a great place to get started before visiting her site. Today Show: If you’re more of a video person, this segment from the Today Show will you exactly what a capsule wardrobe looks like and how the pieces work together. The Life-Changing Magic of Tidying Up: Even if a capsule wardrobe isn’t your thing, I highly recommend this book. One word: life-changing! I just love your blog I check it everyday! Thank you for all you do. This is just icing on the cake, I’ve been following un-fancy and did my own capsule as well. Now I have less clothes than my husband lol ? Thank you, LeeAnne! Lol, I totally relate to owning less clothes than Dustin now…he’s pretty shocked!! I’m so glad you’re doing this, Kristin! I love having a capsule wardrobe– it simplifies my mornings and I have time and emotional energy for other, more important things. Thank you, Daisy! So far I’m loving it! I need to check out your site for more ideas–I recently noticed you share wardrobe inspiration. 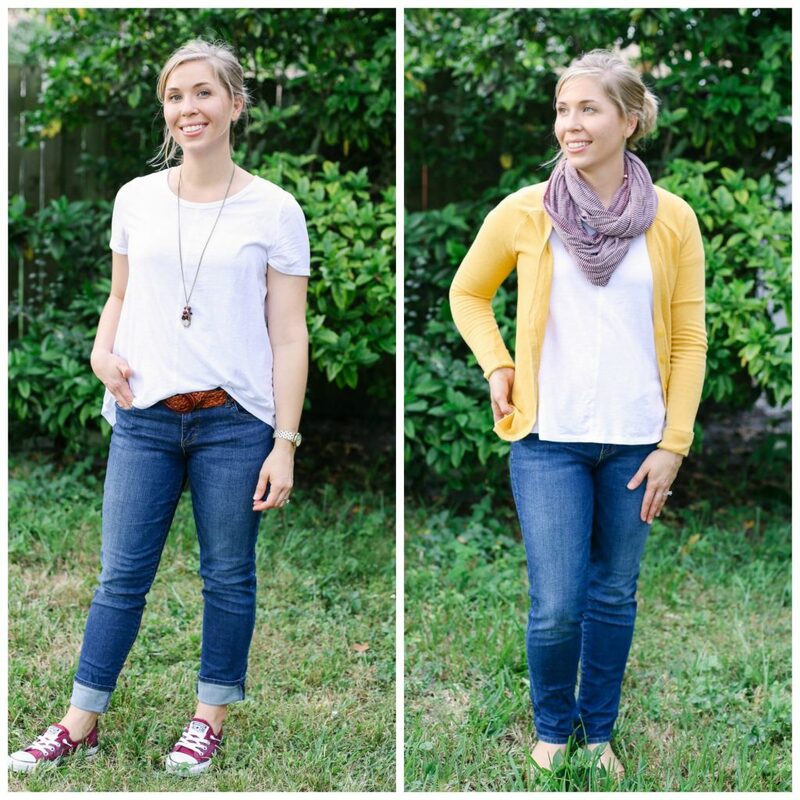 I love your regular (nonfashionista) girl’s guide to the capsule wardrobe! I also planned for Fall/Winter as one season because… Texas. Thank you, Anna! Lol, good ol’ FLorida and Texas ;). I’ve been following your blog for a while and absolutely LOVE it! 😀 My favorite thing are your printables. They are adorable and readable – the perfect combination of cute clip art and perfect fonts. 😉 Are you considering doing a Printable for capsule wardrobing??? Thank you so much. 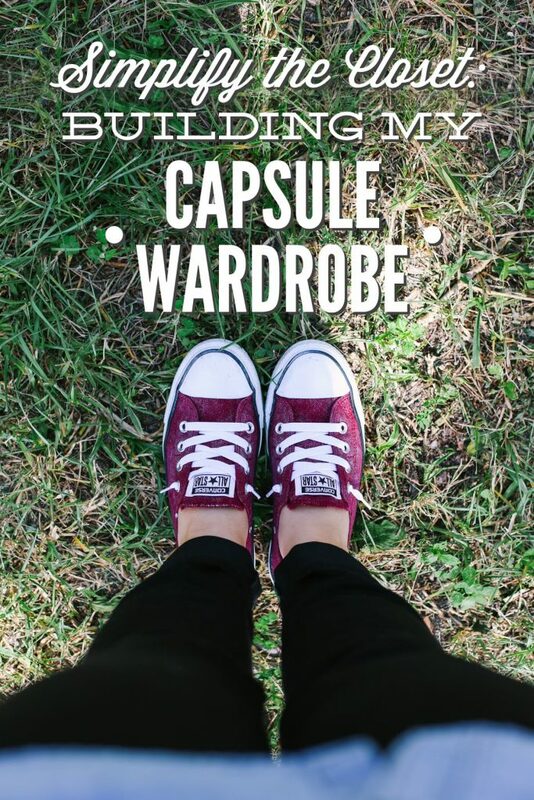 I didn’t think about a printable for the capsule wardrobe, but I love the idea. Hmmm…maybe we will work on this soon. Thank you so much for the suggestion! #2 Not a fashionista?! Those pictures are so pretty!!! And #3 – I started reading about KonMari last week and was really curious about it. 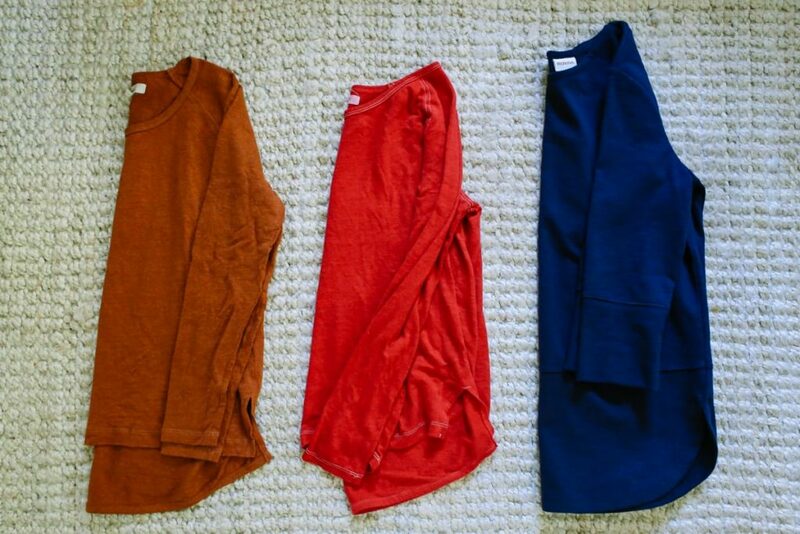 Totally want to try this to organize my clothestastrophe. You’re so sweet, Cate, thank you :). 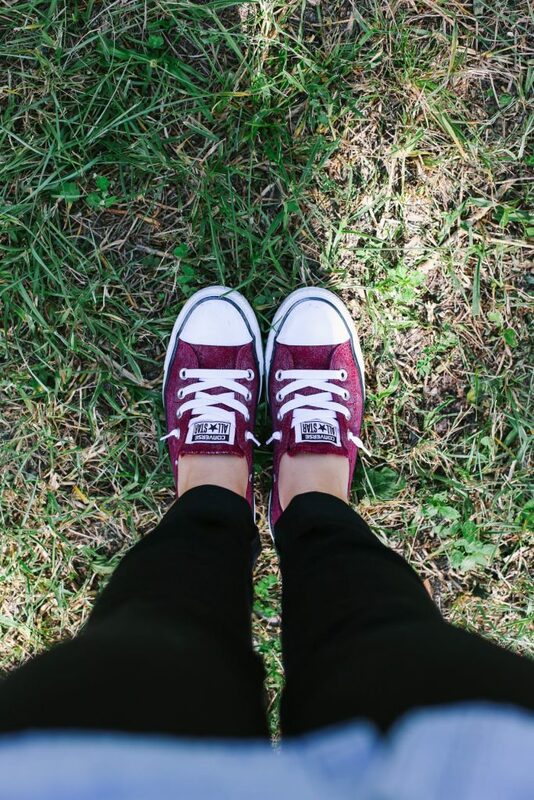 I just love those shoes–best shoes ever!! I think you’ll love the KonMari Method. The end of the book is a bit odd, at least for the western culture, but the rest of the book is completely worth the read. Her method for figuring out what to keep and toss, along with her tip for how to fold clothes, are life-changing. I love your website – thank you for all that you do. I struggle with constant anxiety in regards to random lifestyle every day choices that many people brush off (meal prepping & an organized closet to name a few). I’m concentrating on baby steps, but this is a lot of help to become more relaxed so I can enjoy life more! Thanks again. Hey Casey, Thank you so much! It’s so great to hear you’re loving the blog. I’m so glad the posts about simplifying and organizing have been so helpful…we are all in this together :). You’re welcome, Charlotte! Thank you for the inspiration! It’s so funny, because when I did the ‘imagine your life’ part of the KonMari method, for me it basically boiled down to ‘I want to live simply’. Not that I wanted to live an austere life, or a boring one, or a restrictive one, but just a simple, rich, and full of things that matter. Then I was googling about natural cleaners and found your website! What a happenstance to find someone so on your wavelength. So glad I found your blog. That’s awesome, Sue! Welcome to Live Simply!